Phlebotomists need people skills as well as technical skills. Phlebotomists process laboratory requests in medical settings. When a patient receives an order to get any kind of blood test and heads to his local lab, a phlebotomist is the one who typically draws the sample. When interviewing a candidate for a phlebotomist position, look for a personable quality, as well as technical skills. Many people fear having blood drawn, but a good phlebotomist can make the experience easier. It's important for someone dealing regularly with blood and syringes to have a pleasant demeanor. Some patients find the process of having their blood drawn to be traumatic. 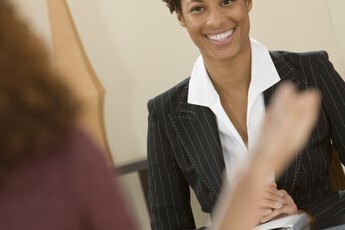 When interviewing a phlebotomist, look for real-life examples of how a candidate soothes clients and what techniques he would use to handle a panicked patient. 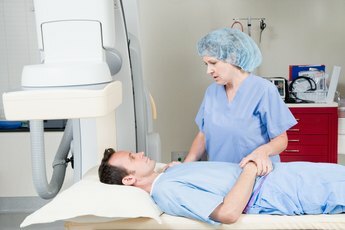 A question you could ask in an interview is, "I'm a patient terrified of needles, how would you make me more comfortable?" The better technique a phlebotomist has in sticking a patient, the better that patient's experience will be. Aside from being confident about their skill levels, phlebotomists are most handy when they are able to hit a vein every time, except for difficult situations. Inquire about their abilities and statistics in successfully drawing blood, such as how they handle drawing from children. One way to ask about technique would be, "How do you handle not being able to find a vein?" When interviewing candidates for a phlebotomist position, inquire about previous experience. Ask whether or not their experience has been in a doctor's office or laboratory and why they prefer one location over another. The answer should shed light on whether or not the applicant is suitable for your office's environment. A student fresh out of school or training could be a good candidate, as well. There are pros and cons to both, as one might be more trainable while the other is more skilled in handling adverse situations such as coping with a vein that leaks into surrounding tissue. Phlebotomist don't just handle blood and patients but they also deal with paperwork. Phlebotomists may check in patients as they enter the lab and take insurance information. They also process the lab orders and label specimens for shipment. Accuracy and attention to detail are important when dealing with patient's medical information. They also need to be able to maintain privacy and discretion regarding these details. A good questions to ask during an interview could be, "How would you handle drawing the blood of someone you knew?" Forbes: Are We Ready for a Robotic Phlebotomist? 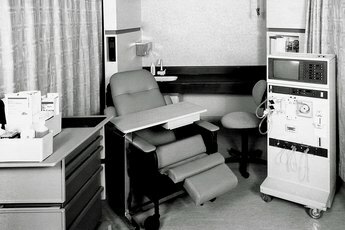 What Does a Dialysis Reuse Tech Do? 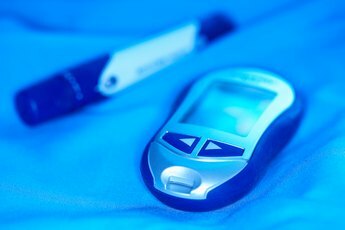 What Are the Benefits of Checking Blood Glucose?